innovative businesses and fascinating historic sites. downtown. The Connector does not run on Sundays. and food trucks. The event is free and open to the public. Rain or shine. 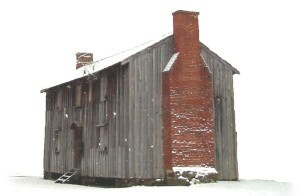 Celebrate an 1870s Christmas during evening tours of Duke Homestead from 7pm to 9pm on both Friday, December 4 and Friday, December 11. 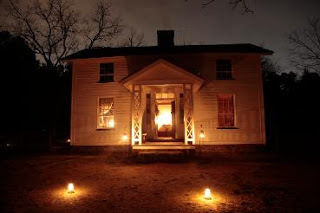 The Christmas by Candlelight at Duke Homestead Tour features period decorations, caroling, dances, hot apple cider, and other goodies. 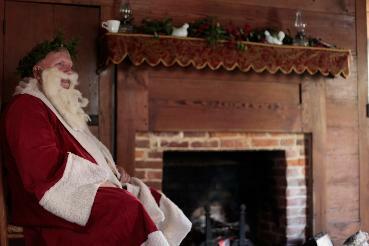 crafts in the dining room, meet Santa in the parlor, and sing carols, hear stories and pop popcorn in the bedroom. the enslaved and white communities on the plantation. there will be crafts to try and historic games to play! Enjoy your holidays at Morehead Manor Bed and Breakfast of Durham, North Carolina. We love hosting guests. In addition to the delicious food at our local restaurants and our local food trucks all across Durham, we prepare a delicious gourmet breakfast each morning for our guests. Relax and enjoy the holidays with those you love. This is the most magical time of the year! 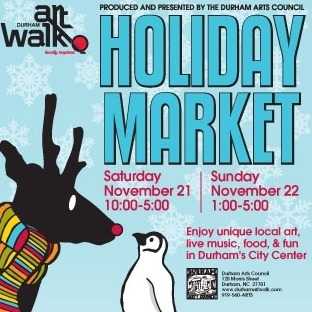 This entry was posted in Uncategorized and tagged artists, Bull City Connector, Christmas, Duke Homestead, Durham, Durham Art Walk Holiday Market, Durham Arts Council, Historic Stagville, holidays, Morehead Manor Bed and Breakfast by admin. Bookmark the permalink.